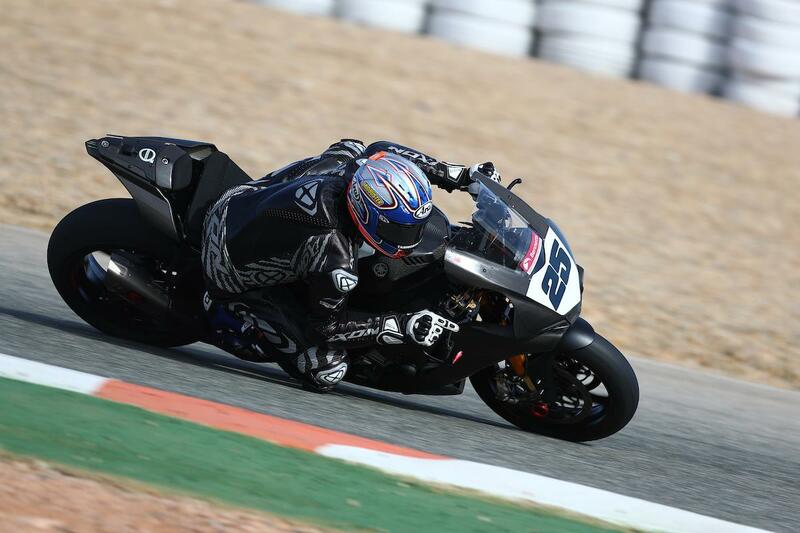 Josh Brookes has said he’s found his transition to the McAMS Yamaha team to be seamless as he prepares for an attack on the 2018 Bennetts British Superbike title. Despite finishing second in the championship last year, it’s a well-known fact Brookes struggled with the small, private and family-run Anvil Hire Yamaha squad. Feeling that he’d got as far as he could with the resources he and the team had, the support the McAMS team get from Yamaha was a key factor in his switch for 2018. After the usual ‘day one’ rituals of fixing handlebar, seating and footrest positions – Brookes instantly looked comfortable in the bike. The atmosphere in the team was already cohesive despite the Australian’s unique nature and while lap times mean very little at a track like Cartagena – he was certainly fast. “Our lap times were competitive, but it’s not so much about that. The first day was literally about me getting used to the bike, then we moved on to set-up – trying different springs, different shock settings, gearing, linkages and a range of other things to try and find our way around the bike. We seemed to struggle quite a bit with rear grip but I’m not sure whether that’s just a track thing – we made some changes to the shock and while I couldn’t feel any improvement we went faster, so it felt like we’d got somewhere.